Can financial crises bring constitutional change? Has Greece become a prominent such example? Already 7 years into recession, crisis-hit Greece is experiencing a tremendous institutional change. This change, which takes place informally rather than formally, is affecting state institutions- primarily its parliament, the executive and courts. Everyday practice, political or otherwise, changes the norms, vital checks and balances and brings about a new reading and ethos to our Constitution. With my upcoming paper, I aim to explore the idea of constitutional change and to connect it to parliamentary and judicial activity after the Memoranda. How have state institutions reacted to the financial crisis? How do economic emergency and external players interplay with local institutions and interests? Finally, will this change have a longer-lasting impact on the country, beyond its economic recovery? The Greek Constitution, a rather rigid one, has been formally revised three times within the forty years of the metapolitefsi era. However, a de facto change of the constitution has also taken place under the pressure of economic emergency and the development of new decision-making dynamics within the crisis-hit state. Both external and internal players have been the drivers of this change. In a shared sovereignty era, the EU institutions have been significant players ever since the country’s EU accession in the early 1980s. Ad-hoc institutions like the troika (EC/ECB/IMF and recently the ESM) have led all Greek bailouts when drafting and supervising the implementation of the MoUs. Internally, the Greek Parliament, originally a forum for deliberation, has steadily abused emergency legislative procedures since the spark of the crisis to satisfy troika demands and impossible deadlines. The finest example is the phenomenal rise of legislative decrees, often without satisfaction of the emergency conditions. Such normalization of exceptional procedures has had an adverse impact on the quality of legislation and has seriously distorted the parliament’s role within the separation of powers system. On the contrary, the executive power, under troika pressures, has been significantly empowered during the crisis, while left virtually unfettered from parliamentary controls. At the same time, the judiciary has gradually become a ‘state within a state’ through the expansive interpretation of judicial guarantees of personal and functional independence. Nevertheless, courts have not been consistent when reviewing austerity measures. Austerity case-law in Greece has been rather asymmetric, largely depending on the court(s) and the parties/payrolls involved, the timing of the cases and the nature of the disputes, with stricter scrutiny often applied in the review of state expenditures when compared to the review of revenue measures. Greek crisis litigation at supranational courts has not been very successful either. Both the European Court of Human Rights and the Court of Justice of the EU have recognized wide margins of discretion to national authorities during crisis and have either deferred to them or declined to review the measures altogether. Finally, the Greek people have been tested as a driver of change through the call of a widely-disputed referendum on the verge of the country’s collapse. With the fear of Grexit looming, the referendum turned into a political manipulation tool in the midst of bailout negotiations with the creditors. As the crisis deepens, constitutional resilience is key. Restoring checks and balances, while protecting the sovereign from further erosions becomes a challenge to prevent a total state transformation. 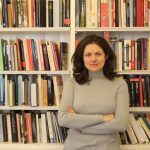 Dr Anna Tsiftsoglou is the National Bank of Greece Postdoctoral Research Fellow at the Hellenic Observatory. She holds a PhD in Public Law from the University of Athens, Greece. A research seminar on the topic took place on Tuesday, 7 March 2017 at LSE, organised by the Hellenic Observatory. For the event’s podcast, please visit the event page. This entry was posted in Constitution, Constitutional Change, Greece, Greek Elections, Greek Politics, Greek Referendum, Greek Society, Hellenic Observatory, Law, Memoranda, UK and tagged constitution, constitutional change, Crisis hit states, European crisis, Law, Memoranda. Bookmark the permalink.